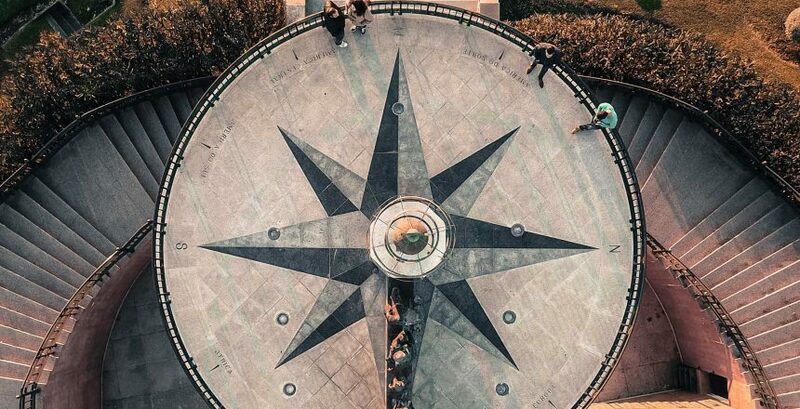 Inertial Measurement Units, or IMUs, are ubiquitous in robotics applications but are also useful for any project in which orientation information or motion detection is needed. However, IMUs are notoriously difficult to interface with. The MPU9250 is an IMU that features a gyroscope, accelerometer, and magnetometer, and is commonly chosen due to its precision-to-cost ratio and availability. 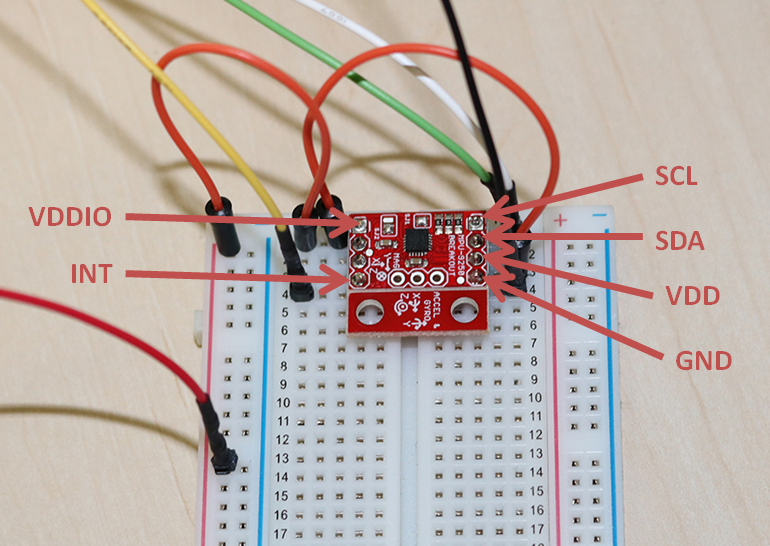 As of this writing, a 9-axis (9-DOF) IMU breakout board, complete with a 3-axis accelerometer, gyroscope and magnetometer, can be purchased on SparkFun for less than $15! a) The option to save calibration values in flash memory. b) A method of controlling the filter update rate using a PIT timer. c) A way to zero the heading. 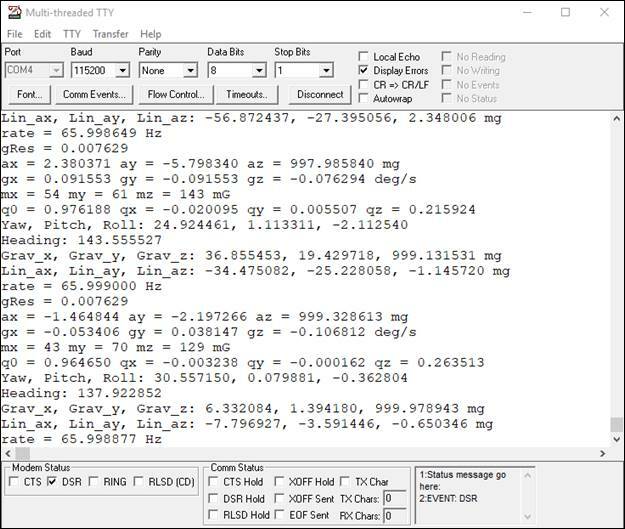 The heading produced by this process, along with an odometer, allowed me to track the car’s (X,Y) position on a 2D Cartesian plane and accurately perform tasks like turning 10 degrees to the right to avoid an obstacle. Although it hasn’t been tested on all NetBurner platforms and is not a guaranteed solution, using this code will save the large time investment required to understand and implement this procedure. The only constants that the user needs to edit are magnetic declination (varies by geographical location and over time) and update rate. On the NANO54415 NetBurner Embedded System on Module, each update take about 3ms. This includes I2C transactions, Madgwick filter update, and conversion to roll/pitch/yaw. Updating at 66 Hz provides sufficiently low latency for my autonomous vehicle requirements, but increased update rates provide decreased latency in achieving a precise and stable heading. Note that the code as written requires a dedicated DMA timer (HiResTimer) for delays and stopwatch timing. 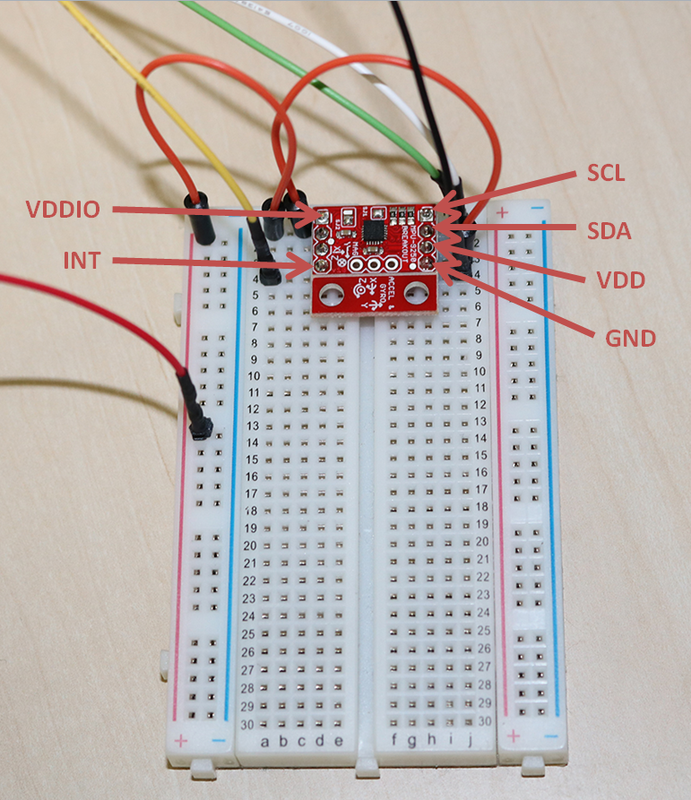 To validate that the code is actually working correctly without building your own autonomous vehicle from the ground up, we have a simple setup shown below that will let us connect the IMU to the NANO54415 using a NANO development board and a breadboard. The connection is pretty simple and is outlined and illustrated in the images below. 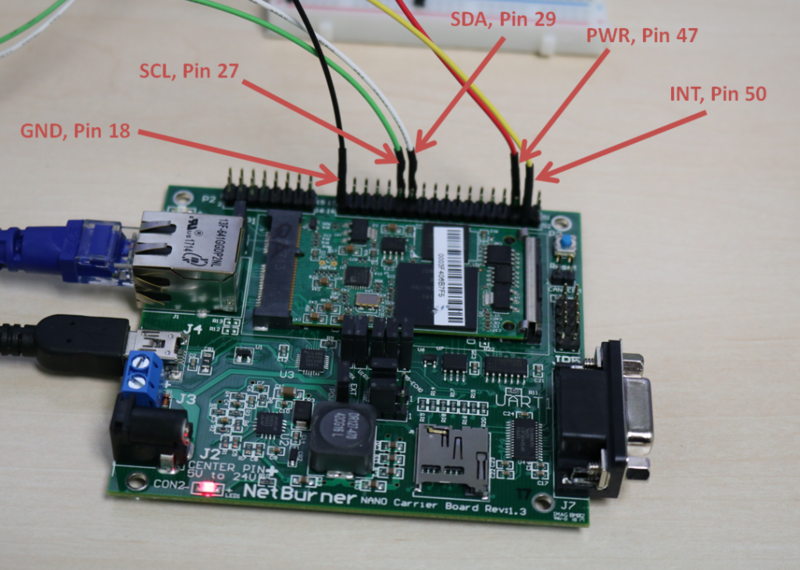 The MPU9250 IMU integrated with the NetBurner NANO 54415 System on Module SDK. Close up of NANO 54415 Development Kit with hookups to the IMU. 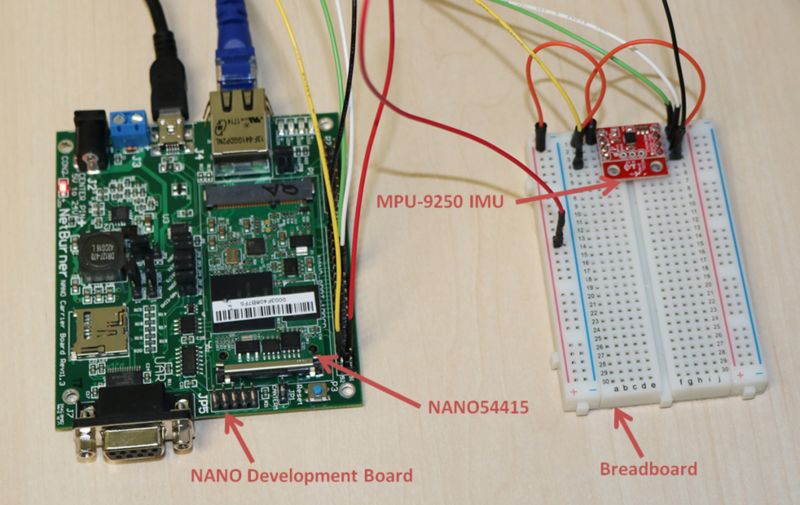 Note that NANO is also powering the IMU. Close up of the MPU9250 IMU with hookups to the NANO Dev Kit. For the breadboard, we have pretty much the same thing, with one extra twist. The VDD and the VDDIO are jumpered together, and then both are connected to the PWR signal from the development board. The MTTTY Serial terminal displaying real-time data from the MPU9250 IMU over the NetBurner NANO 54415 development kit. To learn more about how we used the IMU data in a robotics application, look for my articles and videos on “Developing an Autonomous Race car,” coming soon.